It’s important to remember that an examination is a test of learning, not memory. Examiners want to see evidence that you have drawn on your knowledge to develop a reasoned argument, rather than replicate course notes and textbook facts. 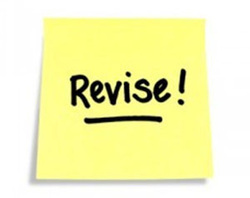 Revision should be a process of consolidating understanding rather than cramming as much information as possible before the morning of the exam.